Baxter County became the 68th county in Arkansas on March 24, 1873, with the small village of Mountain Home designated as county seat. The County was created from parts of Fulton, Izard, Marion and Searcy counties and was named for the governor of Arkansas at that time, Elisha Baxter. The community of Mountain Home, situated on a high plateau between the North Fork and White rivers, was first settled in the 1850s with a post office established as early as 1857. The name was drawn from a plantation house built by Colonel O.L. Dodd at the future site of Mountain Home, which his slaves allegedly referred as "my sweet mountain home" whenever comparing it to the site of Dodd's other plantation, located down the White River at Augusta. Mountain Home can reach an average high of 90 degrees F in July and August and fall to an average low of 23 degrees in January. Monthly rainfall averages 3.8 inches. The annual snowfall average is 12 inches. Mountain Home is proud of its strong local economy and, over the last several decades, has become a regional financial hub. Industries include local and national banks, investment and securities companies, home mortgage firms and financial planning institutions as well as retail sales and manufacturing. With the blessings of low crime, low property taxes and natural beauty, many Retirees have been drawn to the area. Mountain Home was recently added as one of Arkansas's top 10 cities in which to do business! When it comes to providing excellent medical care to Mountain Home, Baxter Regional Medical Center is state-of-the-heart, offering everything from partial knee replacement to open heart surgery. With 6 public schools and 2 private schools in the city, Mountain Home provides numerous education options to local students and their families. Higher education is served by Arkansas State University at Mountain Home. There are also many other options available within 90 miles, including Southwest Missouri State University, the University of Central Arkansas, Harding University, Drury University, Arkansas Tech University and Arkansas State University at Beebe Branch. Water is the basis for much of Mountain Home's unique appeal. The 150-mile Buffalo River boasts great rafting or floating and is the nation's first and only National River. Gorgeous Norfolk Lake offers unsurpassed fishing, pristine blue waters and over 500 miles of shoreline. It's only minutes from Mountain Home and is the oldest of the state's manmade lakes. 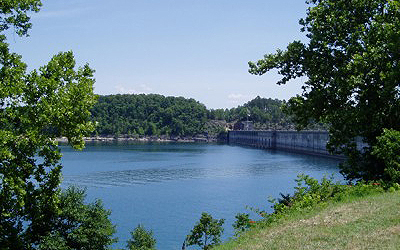 Bull Shoals Lake straddles the Arkansas/Missouri state line and spreads out over more than 71,200 acres. 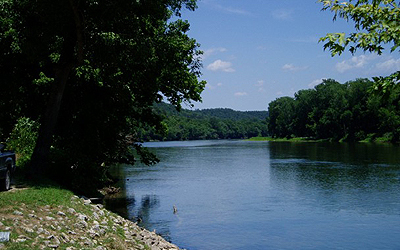 And finally, the White River is a 92-mile-long section of Bull Shoals tail-water that is one of America's most productive trout fisheries. There's more to do in Mountain Home, though. Our four city parks provide visitors with hiking trails, sand volleyball pits, basketball courts, tennis courts, baseball fields, soccer fields, playgrounds, picnic facilities, bird sanctuaries and even a public swimming pool. Our annual crafts and collectibles fairs provide visitors and residents with the opportunity to explore local artistry. As you can see, the Twin Lakes Area has much to offer to young and old alike. Come by today and let us help you with all your real estate dreams. To quote a favorite saying by Hunter S. Thompson, “Life should not be a journey to the grave with the intention of arriving safely in a pretty and well preserved body, but rather to skid in broadside in a cloud of smoke, thoroughly used up, totally worn out, and loudly proclaiming "Wow! What a Ride!” When you are ready for the ride, call us!